Emanuel Pugh is a bad, bad man. 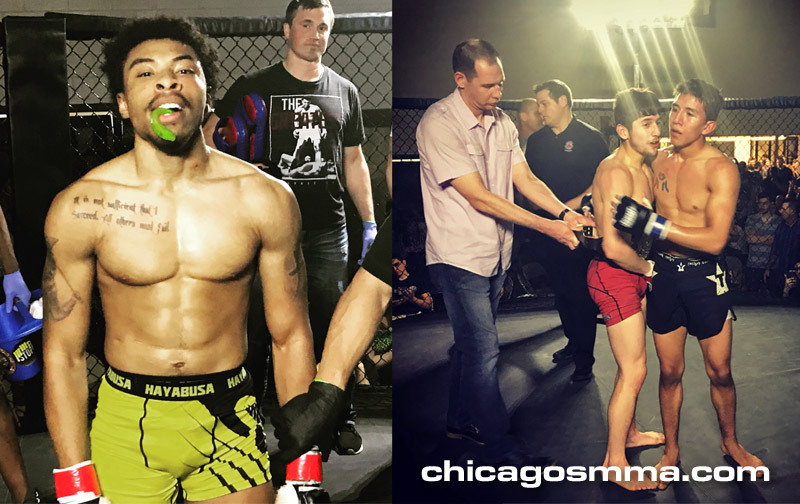 The Team Colon fighter dominated UFC Gym Oak Lawn’s “Slick” Nick Escobedo, one of the area’s top prospects, handing him his first defeat. The win scored Pugh the TFC featherweight title and moved his record to 4-1. Pugh started quickly with a takedown in round one and landed some huge shots on Escobedo while his head was pinned to the canvas. Escobedo worked off his back and tried to catch Pugh in a triangle, but Pugh slammed him back to the mat. Pugh moved to mount and laid it on Escobedo, who was able to survive to see round two. Referee Nick Cimm took a long look at Escobedo between rounds to assess the damage and the fight went to round two. Escobedo started the round by throwing a kick but slipped and fell. Pugh pounced and continued with some heavy ground and pound. Referee Cimm stepped in to wave it off as Escobedo continued to eat big shots. Pugh won at last year’s XFO Outdoor War and I wrote that he’s “steadily proven himself as one of the area’s top prospects — all at the age of just 19.” Pugh is no longer a prospect. He’s now a champion and one of the area’s best pound-for-pound fighters. 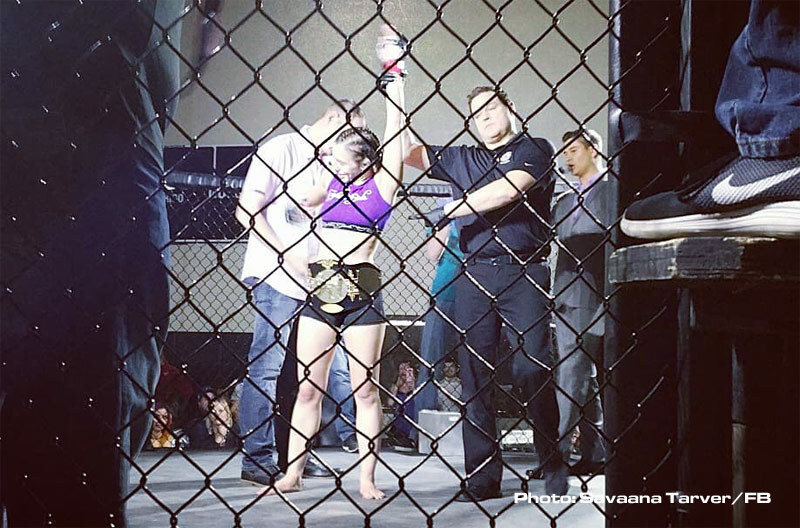 Victory MMA’s Savanna “Savage” Tarver (4-1) lived up to her nickname with a quick win over Gladiator BJJ’s Heaven Podgorski. Tarver struck first and then landed a stinging right hand that rocked Podgorski. She followed that up with a combination and referee Rob Madrigal stepped in to stop the fight. 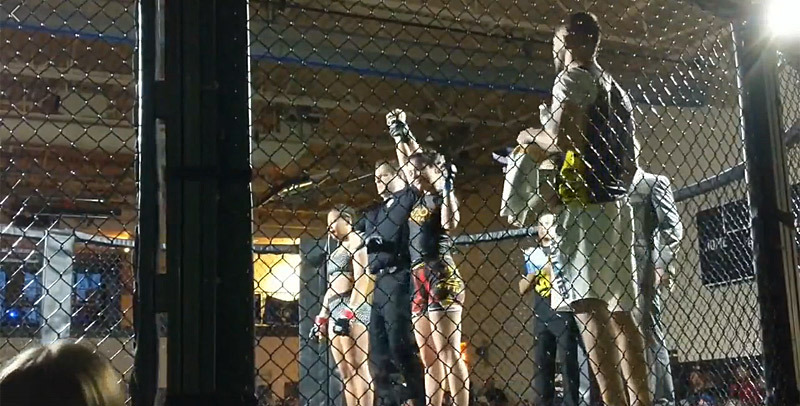 Tarver retains her TFC title. 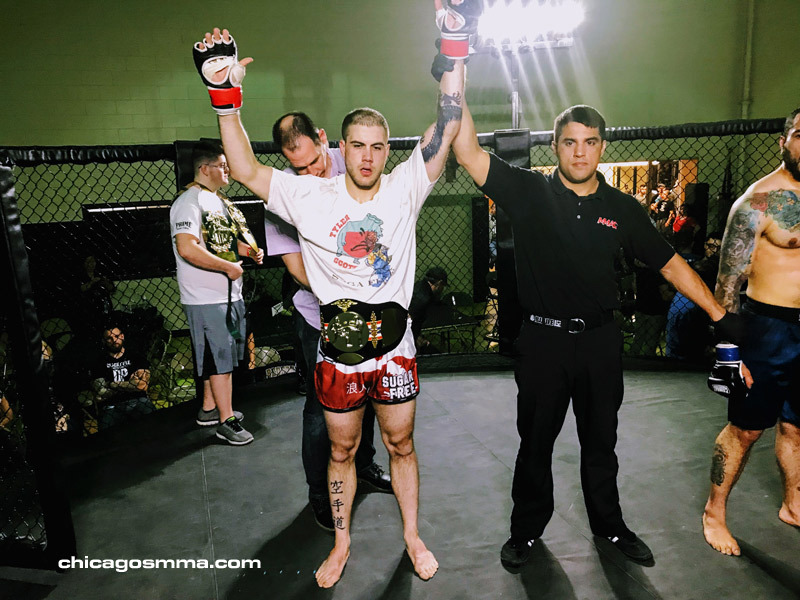 Victory MMA scored another title as Anthony Farfan remained undefeated with a unanimous decision win over Team Top Notch’s Elias Garcia, handing him the first loss of his career. This fight was definitely a crowd pleaser with a lot of action both on the feet and on the ground. Garcia landed a head kick in round one that dropped Farfan, but he was able to get back to his feet quickly. Garcia took him down again, moved to mount and got to work. Farfan took a lot of strikes in round one but got right up at the sound of the horn and walked back to his corner. Round two saw Farfan striking first with a high kick and strikes behind it. Garcia ate a few right hands then Farfan went low with kicks. 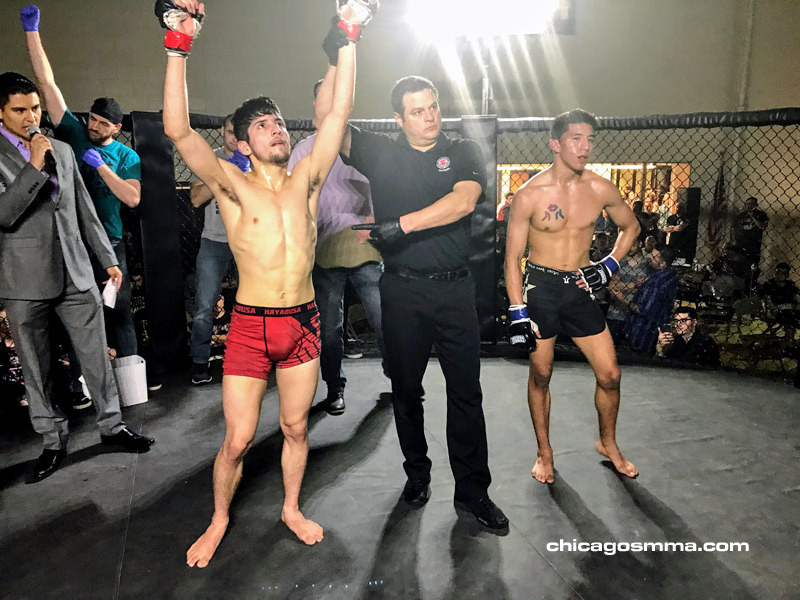 The fight entered the third round at one round each, but Farfan was able to continue his stellar striking in round three to win the unanimous decision and the TFC flyweight title. Valiente served up a three-piece that landed but Scott ate it and grinned. Valiente then was able to muscle Scott up against the cage and worked some effective knees, but one was errant and nailed Scott below the belt. That stopped the action and Valiente’s momentum. A leg kick sent Valiente to the ground as action resumed and Scott quickly moved in to land a big right hand. He added a few more before the ref stopped in to wave it off. Team Top Notch fighter Marisol Ruelas showed off her entire skillset in an amazing fight with Maxim Gym’s Nahiyha Porter. Ruelas controlled the pace in round one and scored frequently with punches, but she ate two big shots at the bell that left her wobbly. Porter took advantage of those late shots in round two with a quick takedown and then some effective ground and pound. Ruelas was able to land a huge slam near the end of round two and secured a head and arm choke when the lights went out. Ruelas started the third with another takedown to start third and this time she choked out Porter to finish the fight.